The average single first-time buyer has to save for a decade before they can afford a 15% mortgage deposit, according to new research. Londoners face an even longer wait of 15 years before they have enough money to apply for an 85% mortgage, Hamptons International reports. Which? explains the findings, speaks to a young couple trying to buy a property amid an uncertain economic climate and advises on schemes which can help first-timers get on the ladder sooner. If you’d like advice on saving for your first home and applying for a mortgage, including Help to Buy and 95% deals, call Which? Mortgage Advisers on 0800 197 8461. In the current market, you would need at least a 5% deposit to get a mortgage. However, according to UK Finance the average first-time buyer deposit is 15%, which is why Hamptons International focused on savers reaching this amount. The estate agency found that the average single first-time buyer needs 10 years and three months to save for a 15% deposit in England and Wales. That means that if they started saving now they wouldn’t be able to buy a home until 2029. A single person buying in London would need even longer to save a deposit – 15 years and nine months, according to Hamptons research. Savers might take some comfort from the fact that the time to save has fallen slightly in all but two regions of England and Wales over the last two years. The time it took in the North East and the North West stayed the same. The map below shows how long it takes first-time buyers to save for a 15% deposit across England and Wales. Unsurprisingly, those buying with a partner are able to save a 15% deposit much more quickly than those buying alone. Hamptons says that the average couple would need to save for four years and nine months to raise a 15% deposit on their first home, which is around half the time it takes a single person. It was three months quicker for a full-time working couple in England and Wales to save for a home in late 2018 compared with 2016. The chart below shows how many years it takes couples to save a 15% deposit in England and Wales on average compared with London for every year since 2000. How did Hamptons work it out? 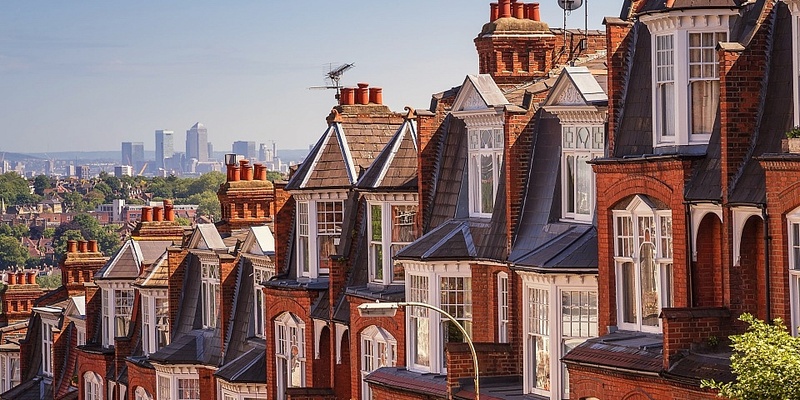 Hamptons International assumed that first-time buyers can save 22% of their income towards a deposit after they have paid for all their essential bills, tax, National Insurance and living costs. It used full-time earnings from the Annual Survey of Hours and Earnings (ASHE), adjusted to the 20 to 29-year-old age group. 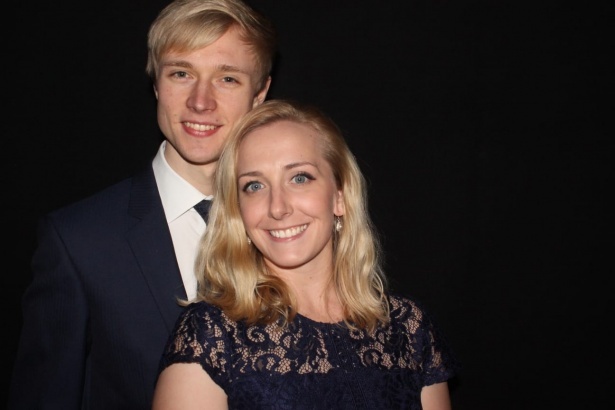 Legal adviser Thomas Holloway, 24, is aiming to buy a property with his partner Jess Norton, 25, in a village near Bristol where they are currently renting. Thomas has been saving since he was 16 and has managed to build up several thousand pounds with a stock and shares Isa. Now he saves cash in his current account, but admits the downside of this is the money can be a little too accessible. He tells us: ‘Saving for a deposit has affected my lifestyle in that I’ve started to reduce things such as subscriptions – for example I wasn’t using Spotify enough and it’s surprising how much £10 a month adds up. His partner, self-employed dentist Jess, is saving any leftover money from a fund used to pay tax. The couple have set an ambitious target of raising £30,000 (£15,000 each) to pay for a deposit and legal costs. They are aiming to buy a home costing between £250,000 and £300,000 with a 90% loan-to-value mortgage to get ‘better interest rates’. ‘We could possibly already get a 95% mortgage, but we took some mortgage advice from Which? Mortgage Advisers who told us that we’d be in a better financial position if we waited a couple of years,’ says Tom. Brexit has also made Thomas wary of rushing into buying a home. ‘We’ll now hold off until the country knows what’s happening with Brexit,’ he added. ‘We have savings and my dad might be able to help, so if we really wanted to buy now we might be able to. But that would be rushed and we’re very much avoiding that just in case. Find out more: what will Brexit mean for house prices? Despite the challenges, Thomas is certain the advantages of owning a house will be worth it. He said: ‘My financial position is very much dictated by my job and income whereas if I had a home I’d have a bit more stability behind me. My aim is that any spare money I have will pay off the mortgage. ‘My main reasons for wanting to own a home are stability for the family, because that is the end game and we’re starting to plan a life down here in Bristol. Plus the freedom to do what we want with the property, pets, renovations and extensions. There are many ways you can save money for a deposit including by reducing your bills, cutting down on everyday spending, using loyalty and cashback credit cards, boosting your income and using a regular saving app. You may want to save into a Help to Buy Isa or lifetime Isa, which both offer a government bonus of up to 25% on your savings when you buy your first property. You can use the Which? mortgage deposit calculator to see how much you’ll need to save in your area, and when you’re likely to reach that amount. How much deposit do you actually need? Unless you’re able to get a 100% guarantor mortgage (which are very rare), you’ll need to save at least a 5% deposit. There are however many reasons to aim to save more than 5%. Putting in 10% or more will open you up to cheaper mortgage repayments, better mortgage deals and an improved chance of being accepted when you apply. It also makes it less likely that you’ll fall into negative equity, which can happen if house prices fall and you owe more on your mortgage than your home is worth. Find out more: how much deposit do you need? Help to Buy equity loans: if you’ve got a 5% deposit, the government may lend you 15-40% of the property price (depending on where you live) through a Help to Buy equity loan, but these are only available on new-build homes. Shared ownership: this allows you to buy between 25% and 75% of the property and pay rent on the remaining share. Buying with a friend: increasing numbers of first-time buyers are teaming up with friends in order to cut the costs of a deposit, buying fees and mortgage repayments. Which? Mortgage Advisers can give you expert advice on the entire mortgage process, from saving for a deposit to applying for a deal. No matter what stage you’re at, you can call for free on 0800 197 8461 or fill in the form below for a call back. How much deposit do you need? HMRC overcharges more than £400m in pension tax: are you affected?